Sometimes, it’s tough being an American fangirl. Like when your favorite band announce tour dates! 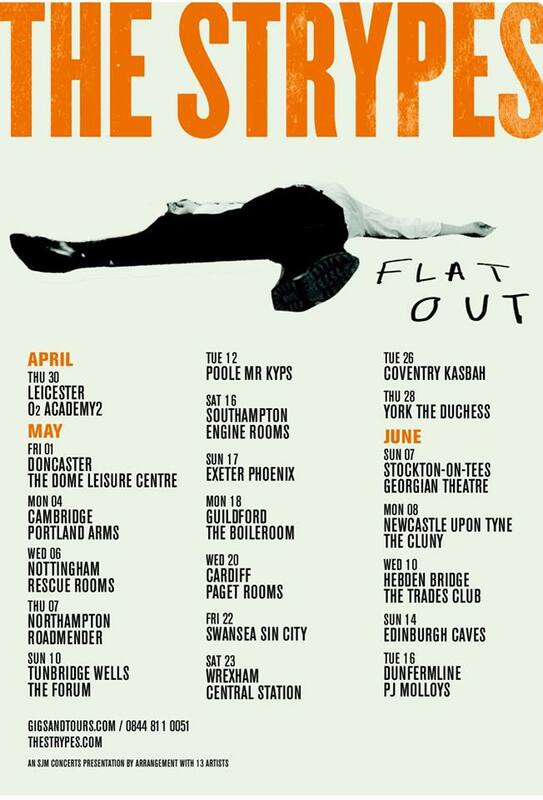 But only in the U.K. For all you lucky fans of The Strypes, they just announced The Flat Out Tour, coming to a venue near you this Spring! Tickets are on sale now, so get them quick! The Strypes are one of our favorite acts to see live – we can barely put into words how flat out talented and incredible they are to watch. Fingers crossed they’ll be back in the US this Summer! Watch them performing “Still Gonna Drive You Home” at the Music Hall of Williamsburg last summer. The Strypes are currently on The Roadtest Tour, hitting towns across their native Ireland. Check out all of their upcoming tour dates below! Previous PostThe Griswolds To Embark On The “Excellent Adventure Tour”Next PostThe Friday Five: *NSYNC’s “No Strings Attached” Turns 15!